Interior design colleges do their very best to teach you how to design and to do the technical parts of the business. Please do not think I am knocking them at all. Their time is limited in their curriculum, and it is impossible to teach you everything you need to know because they are focused on design vs. the business of design. So, what are the five things they don’t teach you in interior design school (or at least they didn’t in my school)? Interior Design is a business first, and you just happen to be providing the service of interior design and perhaps, interior design products. 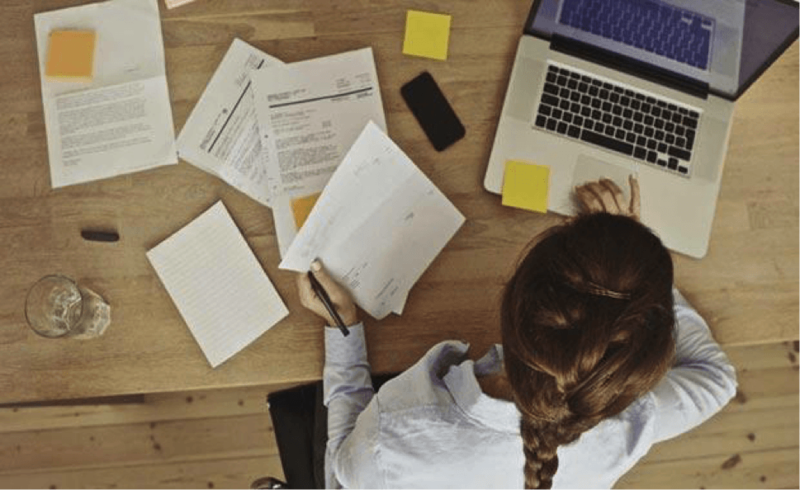 Being a business owner is much different than most people think, and what is often shocking to many people as they graduate is the amount of paperwork and “running of the business” that you have to do. If you don’t have a business background, and if you didn’t get accounting, business management and project management in school, especially with today’s economy, please take extra classes and work for someone else for awhile to learn the ropes on someone else’s dime. As Beth Slifer, the founders of one of the largest interior design firms in the country said, “the business of design is a science, and design is the art.” Get the business down to a science, and you can enjoy more of the art. You have to know how to “sell,” but most importantly, you need to know how to uncover your prospect’s needs and find out what they value, and then provide a solution. Yes sales is a dirty word for some of us, and you have to get over it, because your business won’t thrive if you can’t make rain. You have to pay the bills and it comes from having a steady stream of paying clients. Your ability to manage your time is one of the most important tools to leverage your business success. I see lots of designers get caught up in being busy and multi-tasking, and not doing productive things like bringing in clients and doing enough billable design work. Those are your two most important activities, and as a business owner, it makes more sense to find people to do work that isn’t using your highest and best skills. Systematizing your business is the key to scalability and productivity. If you have processes and procedures, you can teach someone else how to do things. If you do something more than one time in your business, it needs a process or checklist. Most designers end up with a job and not a profession, and you’re the “chief cook and bottle washer” as my mother used to say. If that is the case, the business has no upside leverage, and it will always be stressful and experience lots of cycles. Your self-esteem can limit your success. There are many challenging times in this business, and you have to have the grit and determination to look for solutions. If you feel insecure working with people with money or talking about money, you will have a problem collecting money. This is a business for which you should be paid, and just because people don’t understand what you do doesn’t mean you shouldn’t be paid for your expertise. Whatever your biggest constraint is, or your weakest skill set will determine whether you will succeed. The sooner you remove your biggest constraint by outsourcing, delegating, not doing or looking for an answer or solution outside of your own business through books, classes, mentors or mastermind groups, the better off you’ll be. It’s always cheaper to pay more to get a specific answer to your problem or bottleneck than it is to take the longest route of learning the hard way. You only cry once when you pay for quality. Just remember that to use with your clients. Ready For A Mentor, Advisor And Co-CEO Who Is Passionate About Design, Experienced In Business, And On A Mission To Help You Experience More Profit & Less Stress? Visit https://www.gaildoby.com/ to see how Gail can improve your business profits. I am more than halfway through obtaining my Bachelor Degree in Interior Design, and I feel like yoh are so right. All of the focus is on the art, not the business side of it. I hope our internship program will help a bot, bit fortunately, I have run a business before and am quite familiar with your points. Thanks! I would add marketing to the list. Many might tend to lump marketing together with sales, but it is really a different subject that requires different skills from sales or basic business. Of particular concern, I think, is the marketing of the individual style of interior designers. I find it constantly puzzling why so many interior designers, whose service is so heavily involved with visual aesthetics, seem to neglect the visual presentation of their work in their marketing materials. I did a 2-year degree at college majoring in ID. We learnt nothing about how to stick to a budget. Sadly, that’s true for most schools.